Information on Biting Mites, Bird Mites, etc. 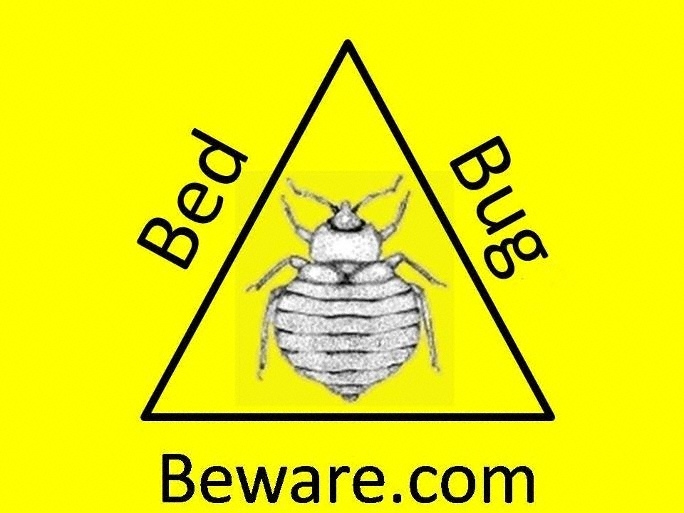 Ontario’s bed bug portal. Looks very helpful. Rutgers’ NJAES video Bed Bugs and Integrated Pest Management. Note: because you can (a) spread the problem in your home, and (b) clear away evidence of the problem, do not plunge right into the decluttering or DIY methods described if you have the option of and plan to get someone in to treat; wait for their inspection and advice. University of Florida’s manual Bed Bugs: Containerized Fumigation and Heat Treatment (click here to download PDF) includes information on methods developed at U of F to heat treat furniture and belongings in a controlled manner; see “Economical, Localized Heat Treatment for Control of Bed Bugs infestations” in the Table of Contents). Other U of F resources here. See also “Using heat to kill bed bugs” below. Post a photo to our user forums and other users may be able to ID it. Instructions for joining the site can be found in the FAQs about the forums, and once you join, here are instructions for posting an image. 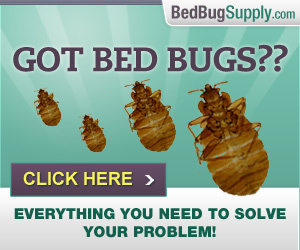 While we can’t guarantee you will get reliable information from all users or even from experts based on every image, this is often a quick way to determine if your sample is bed bugs or something completely different. Sometimes we get enough detail to see if you might have a closely related species (bat or bird bug), or at least to tell you you need an entomologist to take a closer look. In the US: visit a cooperative extension office. Many have an entomologist on staff who can ID a bed bug (or closely related species like bat or bird bugs). Find your local extension office here, and call to ask if they have an entomologist who can ID an insect sample. Call a local university entomology department and ask if someone can ID a bug sample. While you are definitely asking them to do you a favor (and should be mindful of not taking advantage of their time or contacting them repeatedly), this is sometimes a good option, especially in remote areas or in countries where pest professionals may have less experience with bed bugs and closely related species like bat or bird bugs. Ask large PCO firms if they have a consulting entomologist. While many pest techs who come to your home may be able to ID cimex, they may not be able to identify bird bugs and bat bugs, which are often mistaken for bed bugs. If they have a consulting entomologist, ask to have them look at your sample. Agencia de Protección Ambiental, EE. UU. You can find your state’s pesticide regulatory agency here. Chicago tenants can get advice from Metropolitan Tenants’ Organization. The Illinois Tenants Union helps those in Chicago, Cook County, and the suburbs. The Michigan Tenants Counseling Program no longer offers counseling by email and phone due to budget constraints, but does have a useful Resource Library. Michigan Legal Aid may also be able to help low-income tenants or landlords. Tenants in Minnesota can get advice from the non-profit HOMELine. New Jersey tenants should try The New Jersey Tenants Organization. NYC Tenants can get advice from the non-profit Met Council. And don’t forget the New York City Bed Bug Portal especially its Information for Homeowners and Tenants. You can check HPD’s complaint history or open violations here. Remember, the complaint history show tenants who have contacted HPD. Violations are filed if HPD inspects and if they find bed bugs present. As of Summer 2010, they do not always inspect in response to a bed bug complaint. It is also possible they may inspect and not find bed bugs when they’re present. Toronto Tenants Unite is another local tenants’ organization. In Toronto, also see the Toronto Environmental Health’s Bed Bugs page, with information for tenants and landlords. San Francisco Department of Public Health provides information on prevention (PDF) and treatment (PDF) for residents and on prevention (PDF) and treatment (PDF) for landlords. You may find the latter useful when dealing with your landlord, even if you don’t live in San Francisco. Tenants in Wisconsin can get advice from the Tenant Resource Center in Madison. The Landlord/Tenant Resources from the Wisconsin State Law Library may also be helpful. Stephen W. Hwang, et. al. Bed Bug Infestations in an Urban Environment 2005. Tim Myles, Beth Brown, et. al. Bed bugs in Toronto (PDF) 2003. Michael Potter, The History of Bed Bug Management– With lessons from the past. American Entomologist, Spring 2011 (PDF); a very rich history of bed bugs and our attempts to control them. Note: you can also search for bed bug articles on the Armed Forces pest management library (it’s free and lots of the articles are hard to come by otherwise). Sources of Legal Advice Note: if you have questions about your legal rights as a tenant, try calling the tenant organizations listed in the Information for Landlords and Tenants above. If your local organization is not listed (most aren’t), try Googling the name of your city (or the nearest city) and “tenants organization.” If you locate one in your region, they should be able to direct you to a local group. Please let us know if your local tenants’ organization should be added to our list please email me using this contact form. In NYC, you can call the NYC Bar lawyer referral service. For low cost or pro bono legal help in Canada, see the resources listed in Canadian Bar Association’s FAQ.